I have already shared many materials to teach the past simple tense here. You can find activities to teach irregular verbs, a great post on teaching questions in the past simple tense and a post on teaching negative in the past simple tense. However, this post is different. 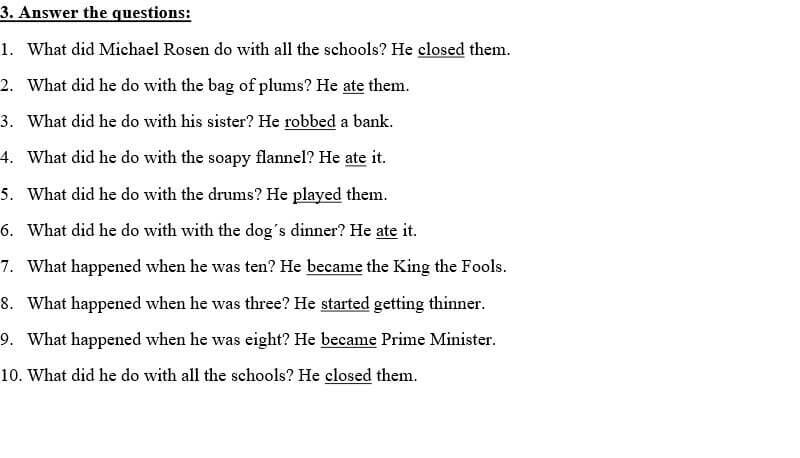 Here, I would like to share a set of activities where students can practise the past simple tense in an entertaining and creative way using the poem Michael Rosen Rap. First of all, I would like to thank Michael Rosen who was kind enough to allow me to use the poem and share the materials with you. You can find his work on Youtube. In this post, you will find the video with the poem performed by Michael Rosen himself. Then there is an activity where students will learn the vocabulary they need to understand a part of the poem. Then, they will answer some comprehension questions and at the end of the lesson, they can write their own poem. I hope you and your students enjoy the lesson. You can see more poems by Michael Rosen on Youtube. Ask the students what the poem is about. They will probably not understand much, but they will certainly enjoy the performance a lot. Now tell them that they will learn some new words so that they could understand the poem better. Print the following worksheet for your students and ask them to do the first exercise. Students match the pictures and the words. Next, students listen to a part of the poem and try to fill in the correct age into the circles. Play the poem from 0:55 till 1:20. You can see the correct answers below. In the last exercise, students should write their own poems. 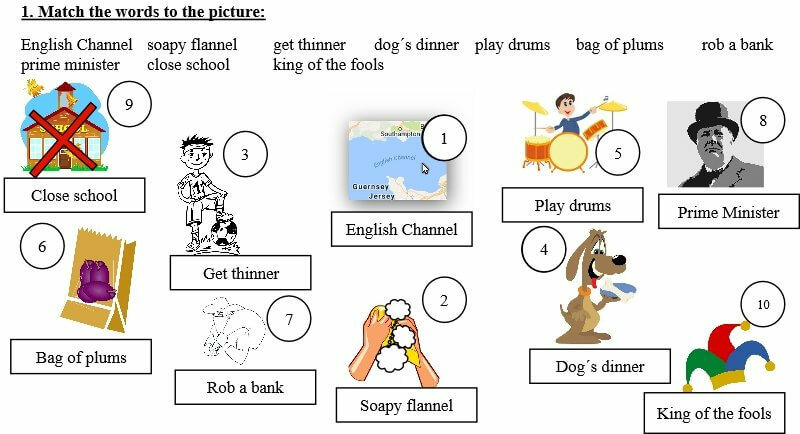 It is a great activity where students use the past simple tense in a natural and creative way. This ensures that they will remember the grammar and use it correctly.